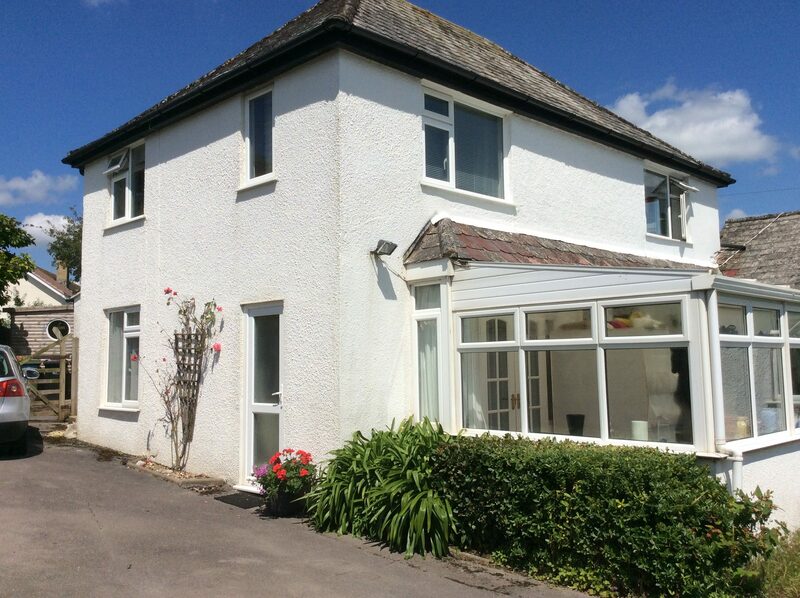 Broadlands bed and breakfast apartment is a modern self-contained B&B. Just a two minute walk from the World Heritage ‘Jurassic’ coastline and famous beach, Broadlands is an ideal base to enjoy the surrounding countryside. 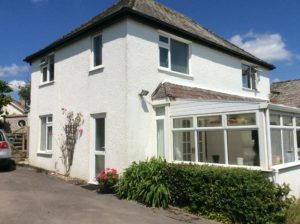 The B&B is within easy walking distance of cafes, pubs and local amenities. The spacious bed and breakfast accommodation, with 285sq feet of space, comprises of one super king or twin bedded, en-suite room and we can accommodate up to one baby in a travel cot by arrangement. It has it’s own entrance, parking space, dining area with fridge and some self-catering facilities including fridge, kettle, toaster and egg boiler. The room has a 32inch flat screen TV with FreeSat, DVD player, a radio and wi-fi connection. Help yourself at anytime to a continental-style breakfast provided. Breakfast includes juice, fresh coffee/tea, Dorset cereals, yogurts, organic or free range local eggs (when available), fresh local bread and top quality jams and preserves. You can eat this at your leisure and all washing up is taken care of when your room is made up. There are facilities for making your own lunch and/or eating takeaways. Sorry no dogs.